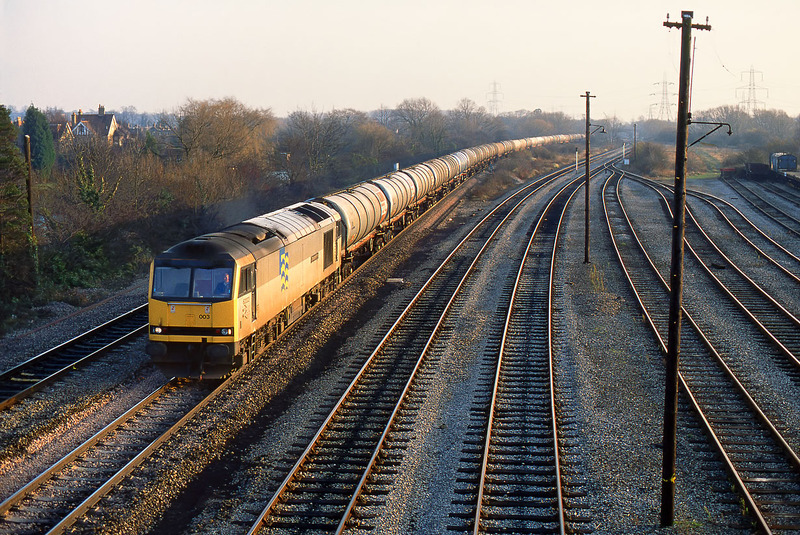 A view of Hinksey Yard (near Oxford) during its moribund period, before being resurrected as a ballast stockpile. 60003 Christopher Wren catches the last rays of the setting sun, as it passes by the virtually deserted yard on 8 December 1992 with the 6E69 13:35 Langley to Immingham oil empties. Luckily, in view of the rapidly diminishing light, this was running slightly early.